A snowman is man-like figure made from snow. The image of a snowman is very much associated with Christmas, and building snowmen is a popular Winter activity for children. 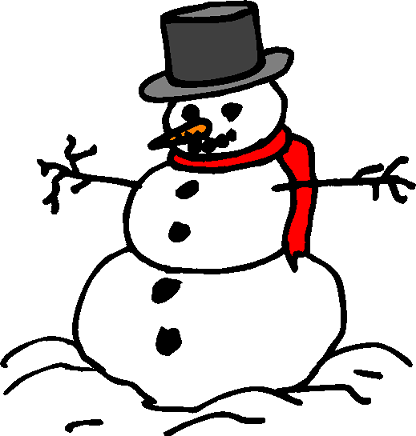 Snowmen are constructed from two or three large balls of snow piled on top of each other. Facial detail and buttons are added using twigs, stones or pieces of coal. A nose is often made from a carrot. Arms can be made using sticks. Possible finishing touches are a pipe, hat and scarf.